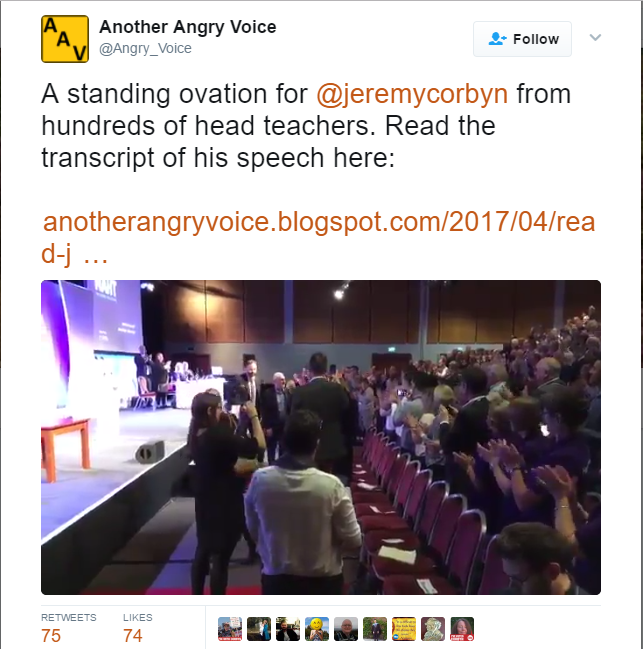 On the same day that Theresa May did a catastrophically inept interview on the Andrew Marr show (evading questions, robotic repetition of her ridiculous “strong and stable” mantra, refusing to admit that nurses relying on food banks to survive is wrong, trying to whitewash the ongoing Tory electoral fraud investigations …) Jeremy Corbyn received a standing ovation from hundreds of head teachers for his speech about Labour’s education policy. 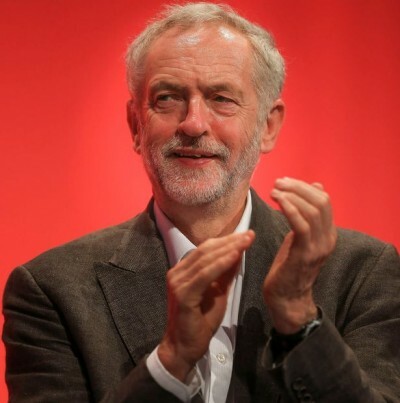 The mainstream press will give Corbyn’s speech minimal publicity, and hardly any of the scant coverage that does appear will frame the speech in terms of the rousing ovation that it received. That’s why I’m providing a transcript of the speech so you can judge it for yourself.